Microsoft To-Do is a task management application that is clean, clear, precise, and with a clutter free interface. The app is also one that syncs across all of your devices. To-Do is the child of Wunderlist. Wunderlist was purchased by Microsoft back in 2016 and in 2017, Microsoft To-Do was born. All you need is a Microsoft account to get started with To-Do and you’re on your way. Whilst in its current format, it doesn’t rival Todoist or TickTick, but with the TLC it deserves from Microsoft it could be in 2019. 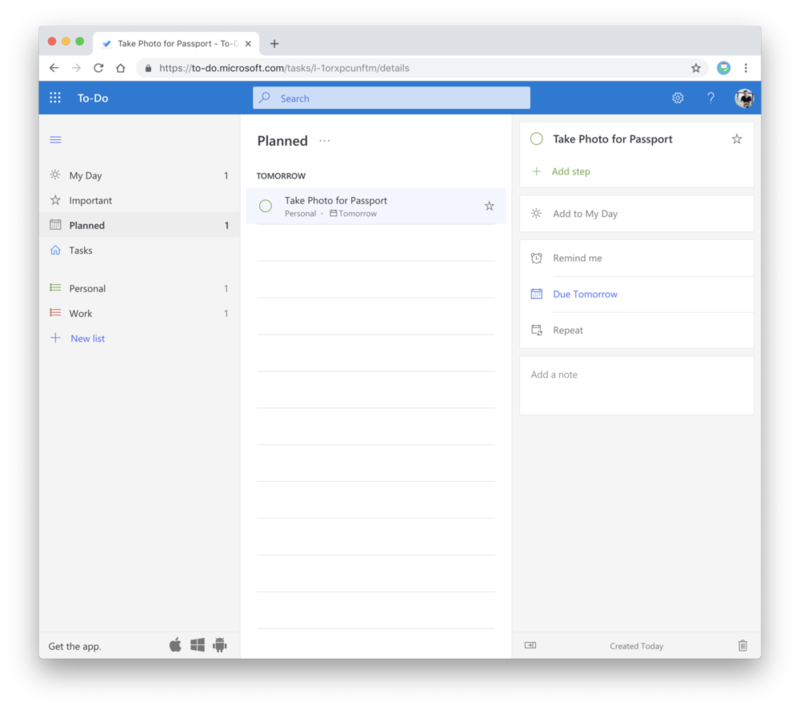 Microsoft To-Do received a warm welcome to the to-do list application space, despite many people angry about the Wunderlist shutdown (still to be confirmed). Since the summertime, Microsoft To-Do have rolled out the following small updates and features amongst its devices, again, not something to shout about. Let’s pinch the Planned list view to explore, as this addition has been one many To-Do users have demanded from the service for much time. With the nature of Microsoft To-Do being simple, complexity of feature isn’t an issue at the moment. But in their latest update, they bring a level of sophistication to the frame. A new feature that will alleviate this fear of remaining a simple to-do list application is called “Planned” smart list that is now available across multiple devices and platforms including iPhones and iPads. The new “Planned” smart list shows you a list of all your tasks for the next five days and more. You simply have to set your tasks as you would regularly and after having set them if you click the “Planned” tab all of your upcoming tasks appear listed by day and beyond. This is very similar to features like “Upcoming” within Things 3 and “Next 7 Days” within Todoist. To-Do bring a sense of familiarity to the stage in this rolling out feature. From here you can manage all of your tasks and see what’s coming up next from a one page bird’s eye perspective. Talk about being clear cut and to the point with minimal effort. This is a great new feature that adds depth and simplicity all at the same time. So how does the new Planned list work? How Does To-Do Compare with Competitors? So, with the newly introduced planned list, does Microsoft To-Do catch-up to the likes of Todoist? Or does it still trail behind. The short answer, To-Do hasn’t quite made it yet. 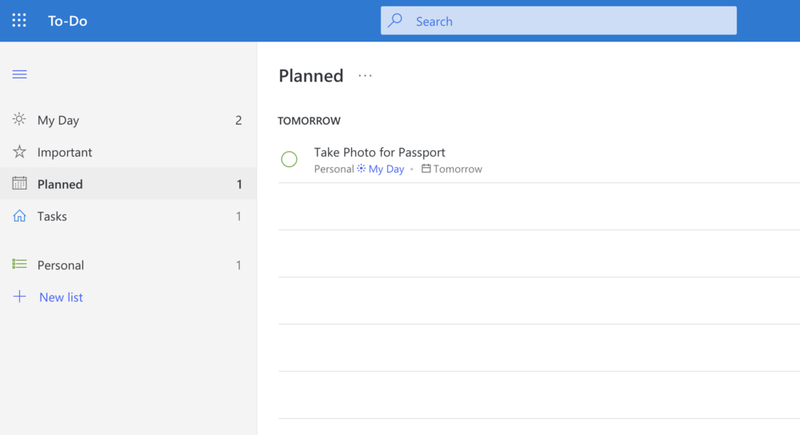 Due the its limited features, Microsoft To-Do doesn’t win any awards for the addition of Planned smart features. But it’s heading in the right direction, even in April, To-Do added plenty of stability and standardized updates like sub-tasks and share list abilities which should have been with Microsoft To-Do since day one. There’s no doubt that the application is getting stronger. But in 2019, what will it need to do to chase the likes of Todoist, TickTick and iOS friendly apps like Things 3, OmniFocus. There’s a long way to go, but if they continue at the rate they’ve been working at, I doubt they’ll be able to compete with Todoist in 2019, more like 2020 thanks to the pace of Todoist’s efforts in the last few weeks with all new designs for empty screens, and an upcoming spring cleaned look. Microsoft is listening to user demands, so here are some of the changes that they are working on and that we can expect to be seeing in To-Do in the near future. Better Outlook integration: flagged emails into tasks, and finding easier ways to integrate calendar events, creating tasks from emails. You can find out all about what’s coming next on To-Do dedicated space for adding ideas for new features. Nov 11 Trello: Is it Right For Me?